A few days ago I happened upon the iconic album cover from the Hoodoo Gurus 1984 album Stoneage Romeos. Initially a cult inner-city act, their popularity expanded due to regular airplay on radio station Triple J and nationwide pop TV show Countdown. I had organised a field trip for my team to the offices of accounting software company MYOB, to see Agile product development in action. There in the groovy breakout space was the cover image of the “Gurus” first album. Let me be perfectly clear here, back in the eighties when I followed the band around the pub circuit, I wasn’t imagining that thirty years later I’d relate their meteoric (in my mind only) rise to fame with Agile product development methodology! It did get me thinking though, that just like Agile methodology, the Gurus were a bit out there. Agile emphasises business people and developers working together daily throughout a project. Likewise, it recognises that the most efficient and effective method of conveying information to, and within a development team, is face-to-face conversation. On our field trip to MYOB, we saw these principles in action where about four standups were being conducted simultaneously, with Developers asking Product Owners questions about features, and confirming how they could drive forward their activities for the day. The sound in the large open space office area was that of people involved in face-to-face conversation. As visitors to MYOB, the team unanimously commented on the passion shown by the Scrum Masters who hosted us on our tour. It turns out that it isn’t just a principle in the Agile manifesto to build projects around motivated individuals and give them the environment and support they need, and trust them to get the job done! We saw it in action. 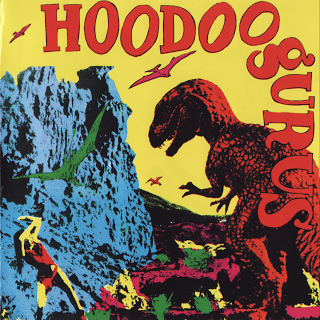 True, the Hoodoo Gurus had a different sound to other eighties rock bands that had come before them, but championed by radio station Triple J, their non-mainstream sound took hold. In my organisation we are amongst the first teams adopting Agile. It means that we are doing things a bit differently to satisfy our stakeholders through early and continuous delivery of valuable software. When inducted into the 2007 ARIA Hall of Fame, the announcement stated that the Gurus were one of the most “inventive, lyrically smart and exciting” bands from Australia. “Inventive”, “Smart” and “Exciting” – sounds a bit like Agile to me. This entry was posted in Agile, Scrum and tagged Agile, Individuals, Product Development, Product Owner, Scrum, Scrum Master, Stakeholders on June 14, 2014 by Katrina Kolt.